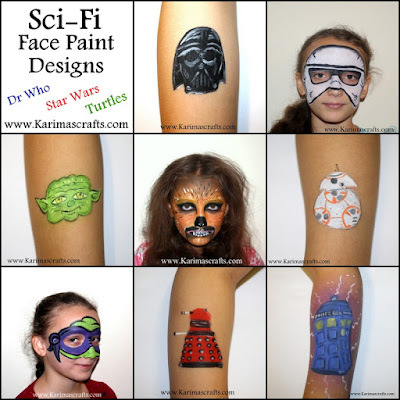 I am sharing some photos of some face painting designs I have recently done. I have put together a collage of Sci-Fi designs from Dr Who, Star Wars and Teenage Mutant Ninja Turtles. Some are designs I have done on the face and some have been done on the arm.